Last year I picked up some blue Wool of the Andes Bulky from Knit Picks during their annual Cyber Monday sale. It was dirt cheap and just the right color for a little coat I was wanting to make. My three year old, Eva, is obsessed with Elsa from Frozen. In addition, her favorite color is blue. Coincidence? I think not. 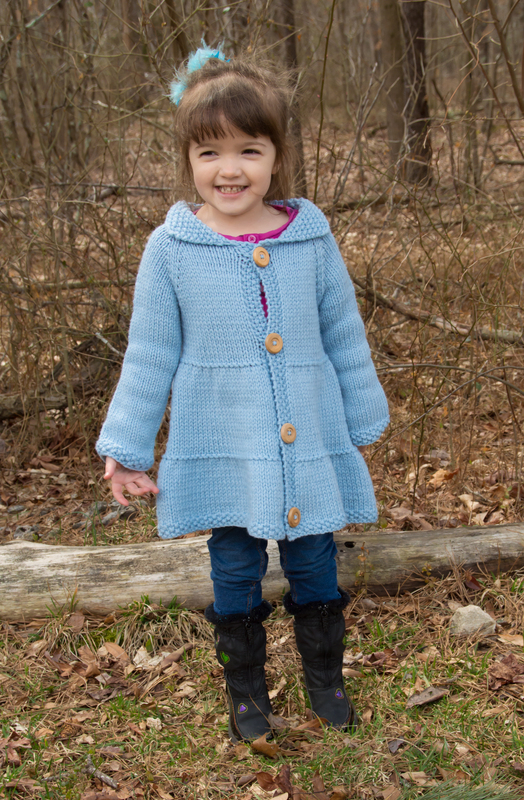 I offered to make her an Elsa coat with the blue yarn and showed her this pattern. She was thrilled, of course, so I got to work. Eva managed to get a little bit of use out of it before the weather got really warm. I made it in a bigger size so that she can wear it next year, too. It was a really easy knit, and I wouldn’t mind doing it again. I was afraid the wool would be too scratchy for her, but she didn’t seem to mind. Either she’s not as sensitive as I am, or the Elsa factor outweighed the itchiness. The project and all of its details are Raveled here. 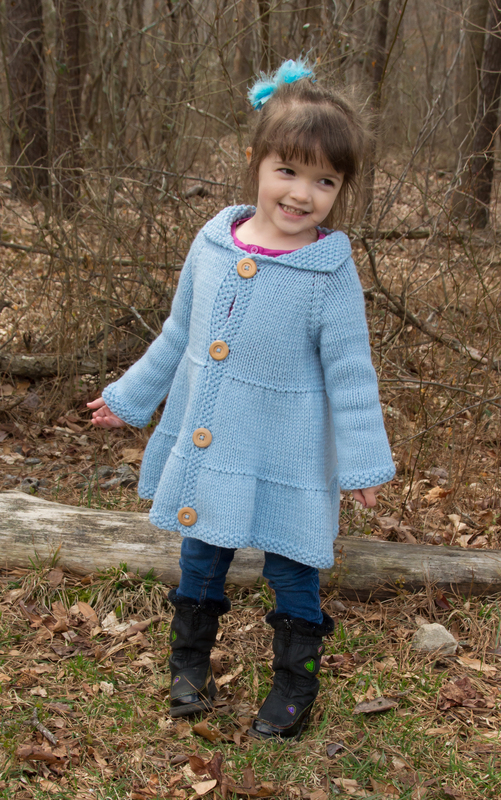 Categories: Knit | Tags: blue, cardigan, coat, handmade, jacket, knit, knitting, raglan, sweater, wool | Permalink.